[et_pb_section fb_built=”1″ fullwidth=”on” _builder_version=”3.0.47″ custom_padding=”0px|0px|18px|0px|false|false”][et_pb_fullwidth_header title=”Vape CBD – A Beginners Guide” _builder_version=”3.7″ title_level=”h2″ title_font=”|800|||||||” title_text_align=”center” title_font_size=”44px” background_color=”#000000″ custom_margin=”|||” custom_padding=”0px||0px|” animation_style=”fade” animation_duration=”1250ms”][/et_pb_fullwidth_header][/et_pb_section][et_pb_section fb_built=”1″ fullwidth=”on” _builder_version=”3.5.1″ custom_padding=”0|0px|16px|0px|false|false”][et_pb_fullwidth_image src=”https://www.thecbdgurus.com/wp-content/uploads/beginner-cbd-vape.png” _builder_version=”3.7″ animation_style=”fade” animation_duration=”1250ms”][/et_pb_fullwidth_image][/et_pb_section][et_pb_section fb_built=”1″ _builder_version=”3.5″ custom_padding=”0px||0||false|false”][et_pb_row custom_padding=”0px||0||false|false” _builder_version=”3.5″][et_pb_column type=”4_4″ _builder_version=”3.0.47″ parallax=”off” parallax_method=”on”][et_pb_text _builder_version=”3.7″ custom_margin=”|||” custom_padding=”|||” animation_style=”fade” animation_duration=”1250ms”]Let us guide you into the therapeutic world of vape CBD to help you get on the road to personal wellness! CBG Guru’s CBD e-liquids/e-juices offer the best in quality on the market. Our products are sealed in Chubby Gorilla’s secured containers, guaranteeing freshness. CBD Guru’s e-liquids/e-juices are available for purchase in the following quantities: 16.5ml, 60ml and 120ml. Our Vape CBD e-liquid, is a liquid to be used in an e-cigarette or vaporizer. The e-cigarette or vaporizer heats the liquid till it becomes steam or “vapor”. Hence the term vaping. 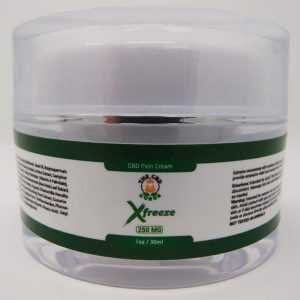 The CBD vapor is then inhaled for its therapeutic effects. The ingredients in our vape CBD consist of Vegetable Glycerin (VG), Propylene Glycol (PG), food flavoring and CBD. Our e-liquids receive the full sweep of CBD advantages. They come in a variety of flavors, types and strength. We have an array of flavors for everyone, offering sweet, tangy, savory and juicy. Hemp Bombs e-liquids varies from fruits, desserts and coffee. We offer mouth watering flavors Arctic Spearmint Blast, Crisp Honeydew Melon, Glazed Chocolate Donut, Roasted Colombian Coffee, Farm Fresh Strawberry Milk, Sugar Cookie Kryptonite, Vanilla Cupcake Swirl, Exotic Watermelon Kush, Whipped Marshmallow Dream and Wild Blueberry Jam. 70/30 VG/PG split, Tested by Independent Labs and Non-THC, Non-Nicotine. If you are new to vaping and are a non-smoker, our recommendation is to start with our 16.5ml CBD e-liquid. If you are experienced and familiar with vaping or a former smoker, we suggest our 60ml or 120ml CBD e-liquid. Also, CBD Guru’s products contain neither nicotine or THC. These are our suggestions based on personal and customer experience. We are not medical professionals. CBD Guru’s e-liquids require no steeping. Meaning they do not have to be “cellared” to age like wine. Our e-liquids are ready for use upon arrival! Proper storage of your e-liquids will enable you to preserve their potency and flavor. Subjecting your e-liquids to extreme temperature changes can affect the quality of your e-liquids. Store them in a cool place of consistent temperature. This will ensure you have a quality vaping experience and extend the life of your product. Personal vaporizers or e-cigarettes are safer then regular old cigarettes, there still is some dangers to be aware of. Make sure to use the charger just for these batteries and remove as soon as they are fully charged. Also, keep the batteries separated from one another so their terminals do not touch and cause a short circuit. Remember, check the batteries to assure they are rated for the specific coil and keep them out of direct sunlight and away from heat sources.